Come party with us downtown Atlanta at 656 Sports Friday Night Lounge! Drink specials all night, Hookah Lounge with live DJ and full kitchen. UberEATS’s until 2:30am! 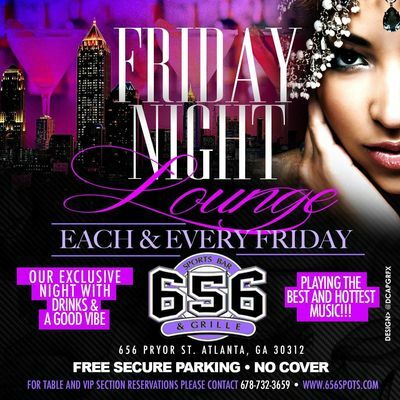 For birthday, table or VIP section reservations call 678-732-3659 or visit website www.656Sports.com.